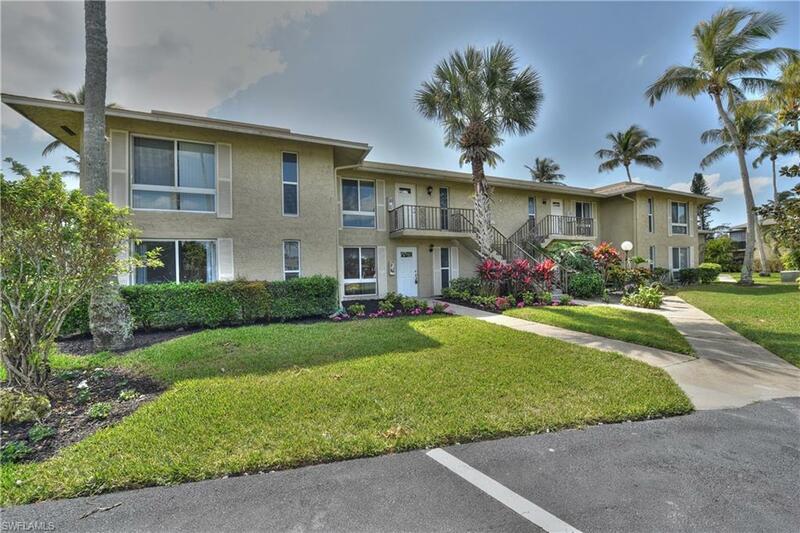 Beautiful long golf course view in this first floor light and bright updated condo. New impact sliding patio doors in Family room and Master bedroom, new roof in 2018, newer A/C and hot water heater Each very over sized bedroom has its own bathroom and large closets. 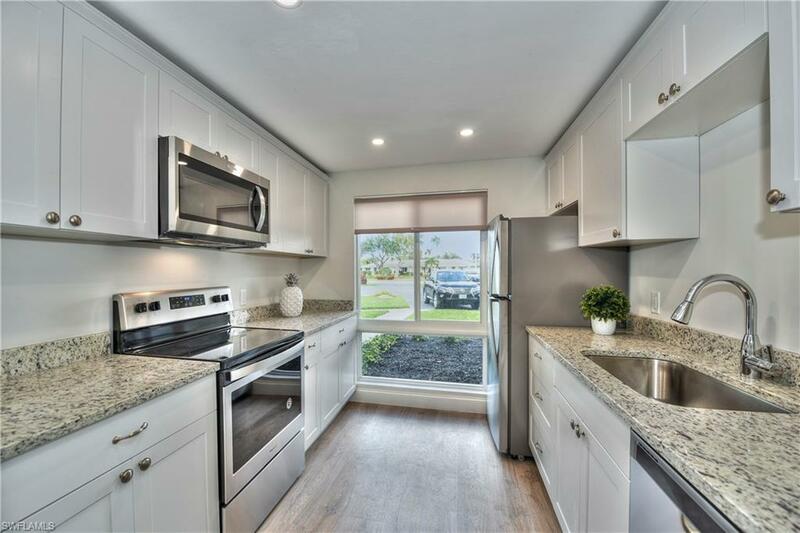 This home has been updated to modern style with all new appliances and decor. 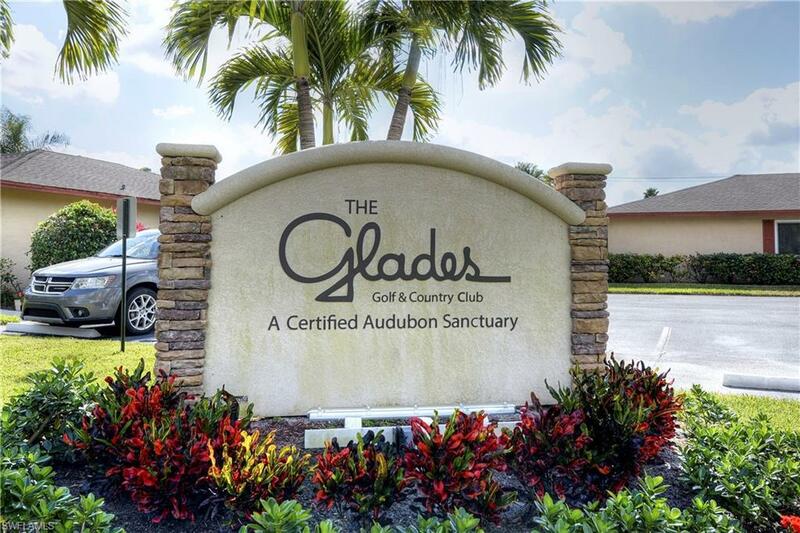 Located on two bundled golf courses that were recently redone and are one of Naples secret gems. The rear view from the home is long southern golf and pond views. The windows are tinted so no one can see in but you can enjoy the nature. The Glades community is located only 3 miles to downtown Naples 5th avenue in the center of town. This is a fantastic retirement or rental property! 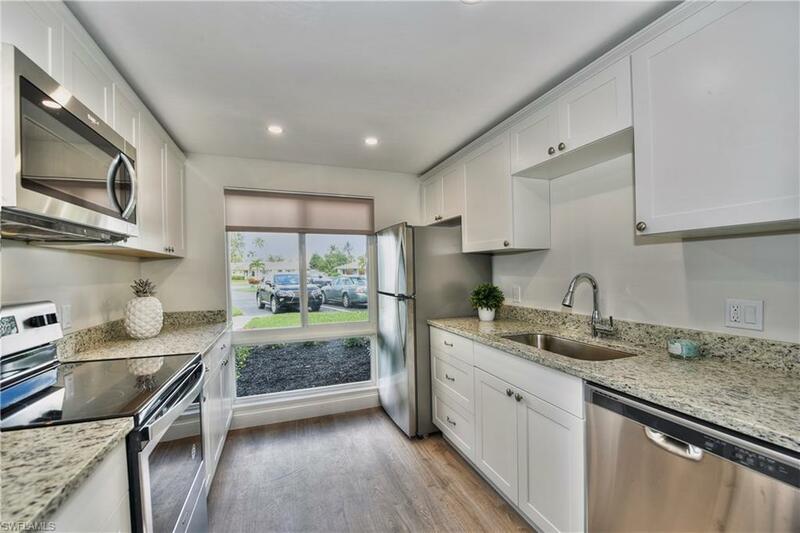 Total carrying costs including taxes, HOA, building insurance, tennis, boccie ball, clubhouse activities, cable, wifi and water, for around $8,000 a year! The rental policy is 12 times a year with a 30 day minimum each.